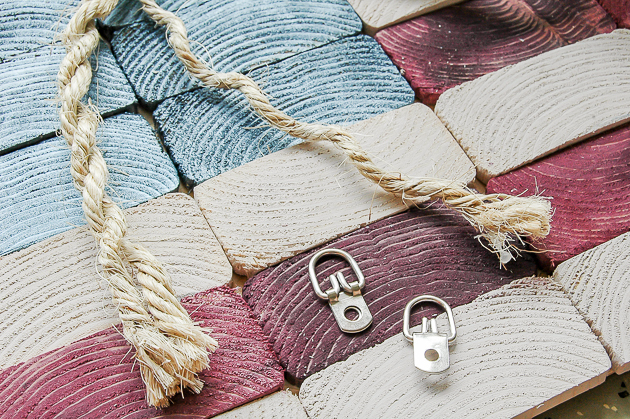 I was hoping to get this project done sooner, but considering there is still a few weeks until the Fourth of July I'm considering myself ahead of the game. 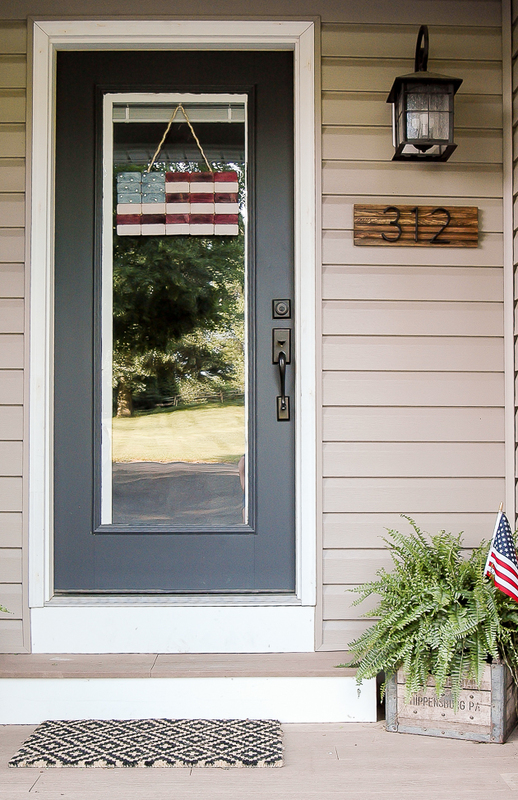 I don't tend to decorate for every holiday, but there is something nostalgic and patriotic about adding a bit of Americana to your home. 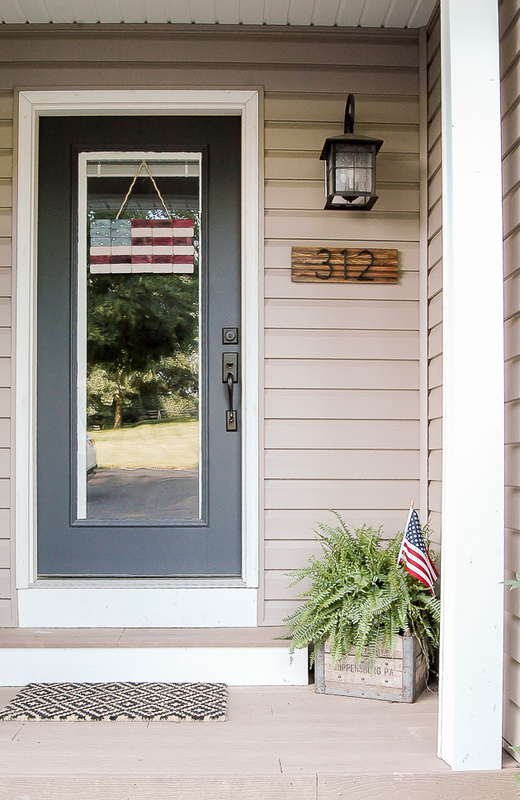 A few months ago I spruced up our front porch, which made it super easy to add a Patriotic touch for Independence Day. 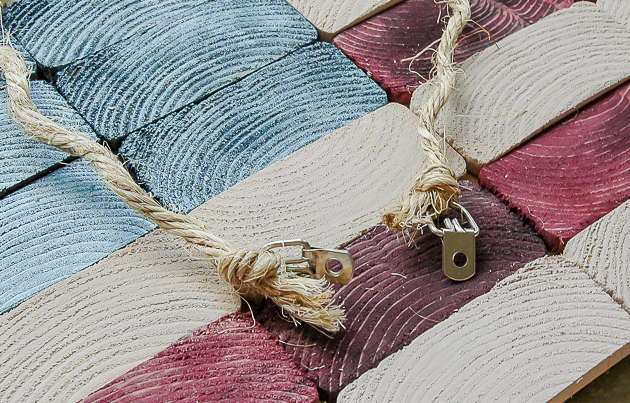 All it needed was a few flags and an easy DIY 2x4 American flag. These are the times that I am thankful I don't let my husband throw away my scrap wood. 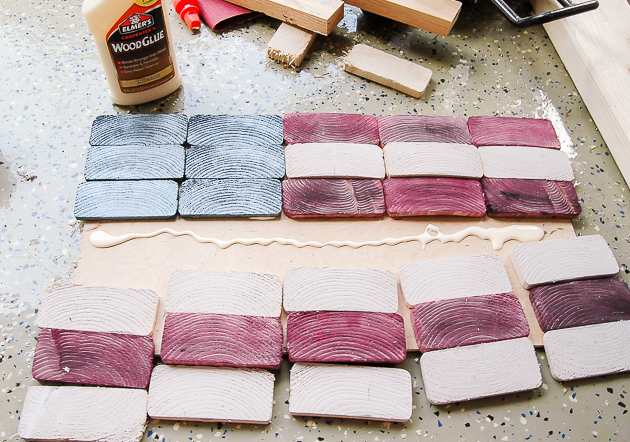 It always comes in handy for spur of the moment ideas like building a 2x4 American flag. 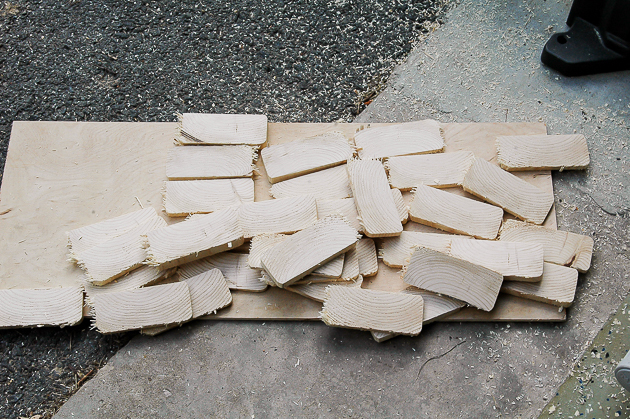 I started by slicing a 2x4 into thin strips. I was going for a more uneven rustic look, so I didn't measure and just made random cuts. 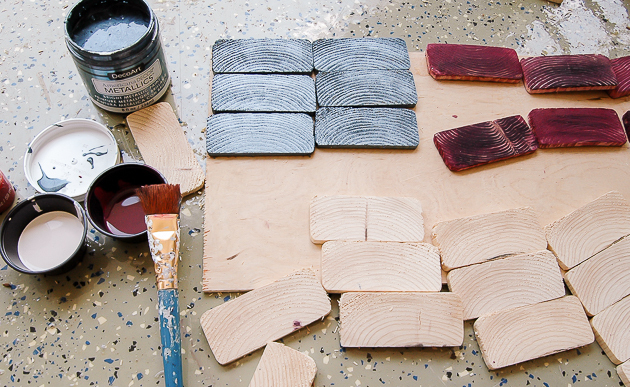 Once I had enough slices cut I gave each one a good sanding to knock off the rough edges. 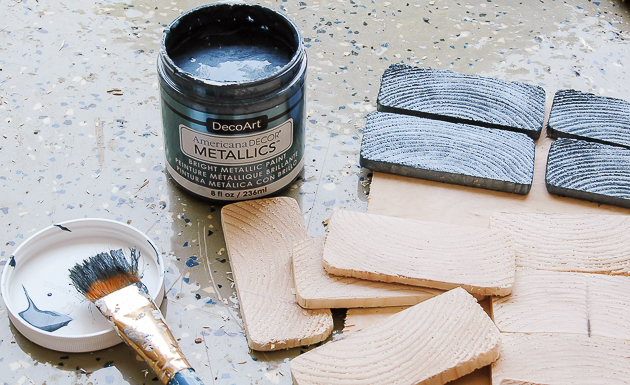 I used Metallic pewter for the blue then watered down red and white craft paint to paint the strips. I attached the 2x4 slices to the scrap board using wood glue and let it dry a few hours before adding the stars and rope for hanging. 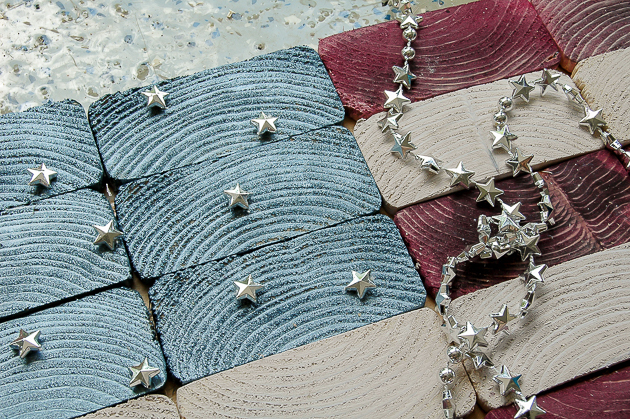 I thought about leaving the blue as is, but ultimately decided to add leftover silver stars that I picked up from the Dollar Tree last week for another quick patriotic project. 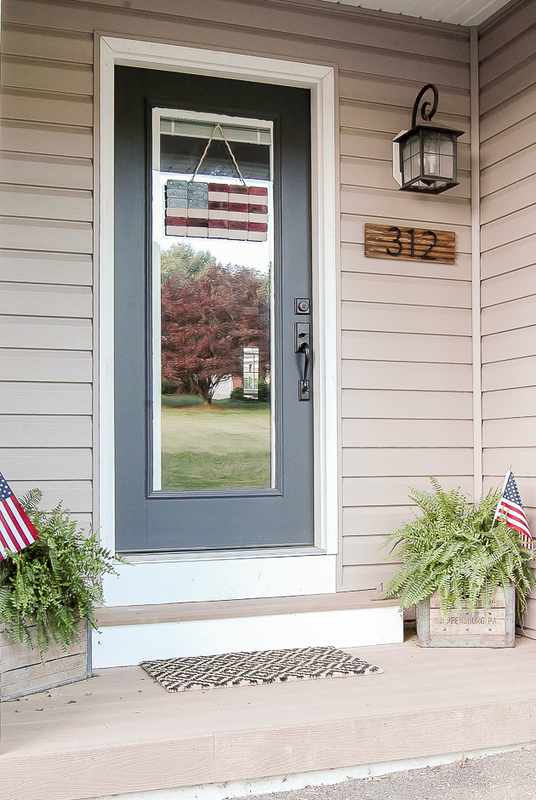 I finished off the flag with D ring hooks and rope then hung it to my door using a command hook. 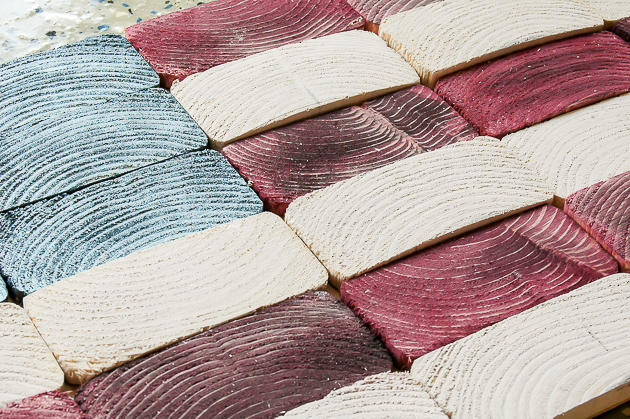 I love that the swirls in the 2x4 gives the illusion that the flag is moving and adds a bit of texture and dimension. 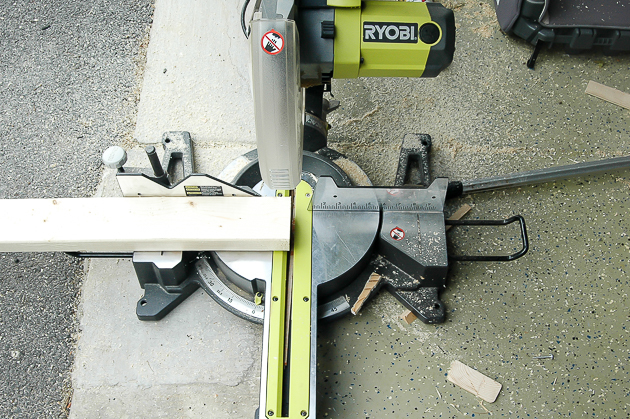 Do you have any scrap wood laying around? 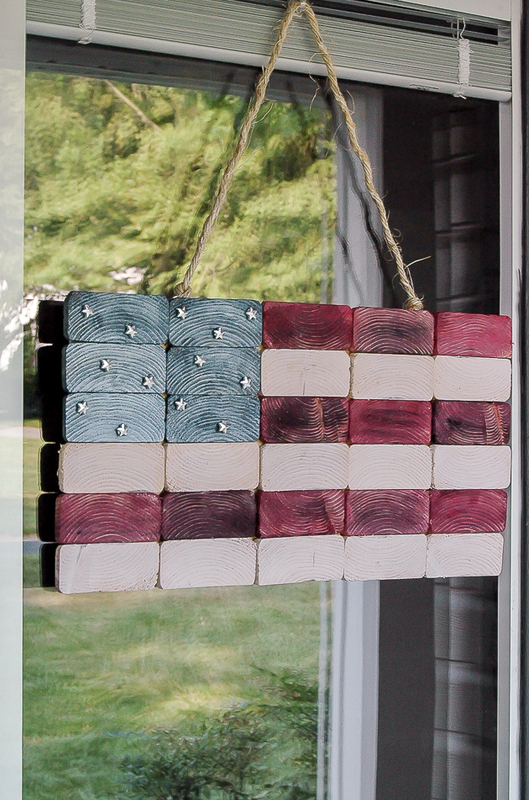 Why not make your own 2x4 slice American Flag? This is so cute, I love the rustic look and those cute little stars. I love it! What an imagination you have!